The Job Accommodation Network (JAN) recently launched the Workplace Accommodation Toolkit, a centralized resource to assist employers during the process of recruiting, hiring and employing persons with disabilities. 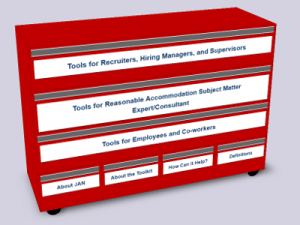 The Toolkit is a portal into the vast amounts of information JAN provides to promote a more inclusive environment in the workplace while maintaining compliance with current laws and regulations. “Recently JAN has seen an increase in requests for guidance related to the reasonable accommodation process and creating disability-inclusive workplaces. The Toolkit was designed to respond to these requests,” said Lou Orslene, JAN co-director. 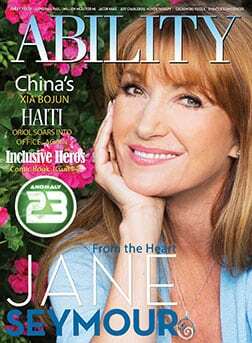 JAN provides employers, recruiters, managers as well as job seekers and employees with disabilities resources for a successful recruitment, hiring and employment experience.